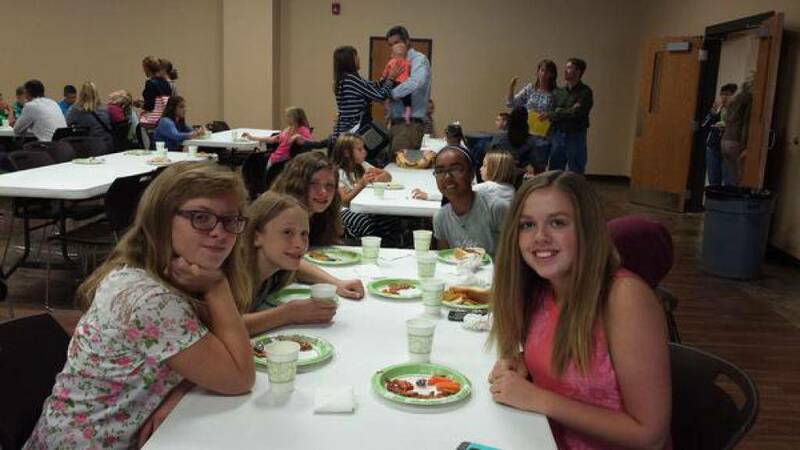 On Orientation Day, lunch deposits were made to pay for student lunches. If your child takes lunch every day, two weeks of lunches costs $35.50. Please use this form to replenish your lunch account. Lunch Prices: Student - $3.55 / Adult - $4.60. About every two weeks, accounts below $30.00 will be notified. Please contact [email protected] if you have any questions. Fresh salad bar will be a side available daily for anyone ordering hot lunch that day. 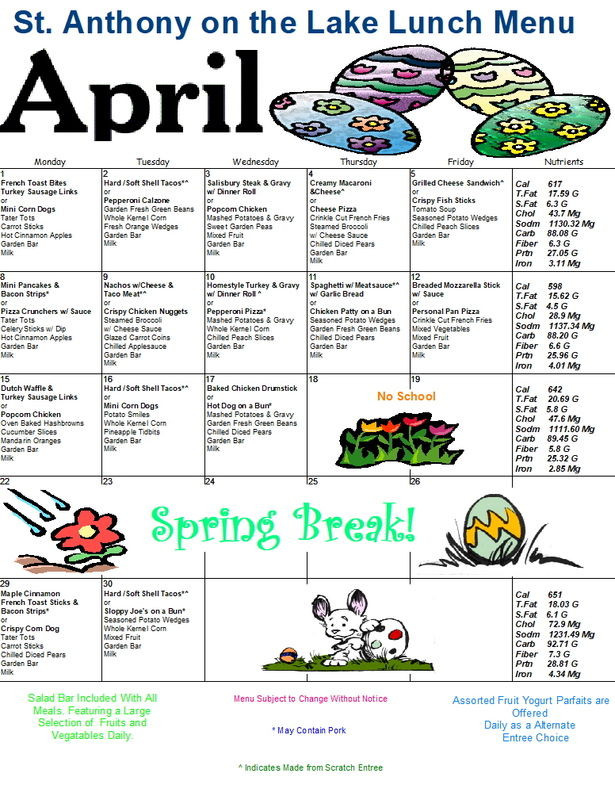 Salad bar will include romaine and spinach lettuce blend with 5 vegetable and 1 protein toppings daily. Strawberry yogurt parfaits will be a 3rd entree choice available each day. Salad bar will be included with this choice. Winter months will substitute soup for yogurt parfaits. Only frozen or fresh vegetables will be used. 100% meat, either beef or turkey, will be provided when possible. Certain prepackaged, processed entrees will have soy added but KM will make a notation on the menu for items that are 100% meat to avoid confusion. A minimum of 25% of items offered monthly will be made from scratch vs. processed. All made-from-scratch items will be noted on the menu as well. Milk will remain $0.10 per milk with option to purchase entire year at orientation. We also offer Taco Tuesdays and Pasta Thursdays! Daily orders will be electronically placed in the classroom each morning by each child. 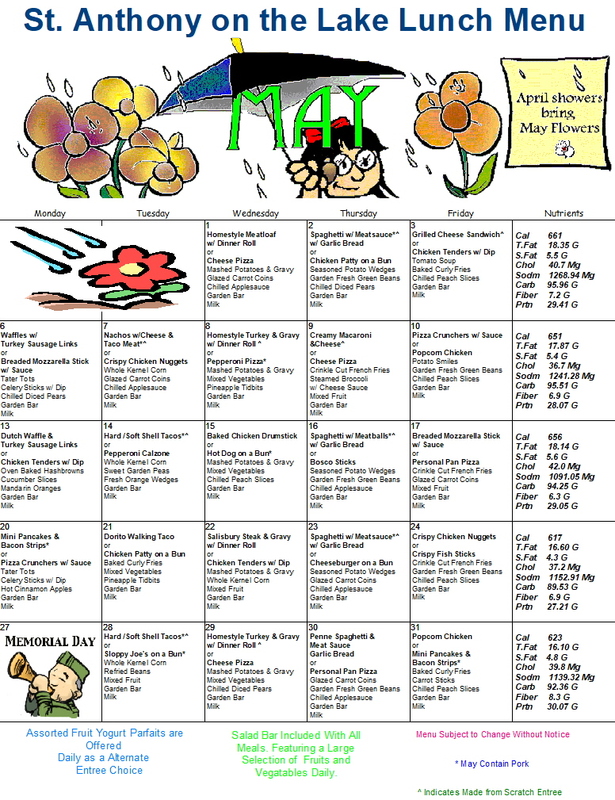 Parents at home can print the monthly KMSD menu and hand mark lunch days for child/ren. Parents deposit money with the school for lunches and will be notified when their account needs replenishing, with notifications going out about every two weeks. If your child takes lunch every day, two weeks of lunches is $35.50. Forgotten lunch? Your child may order hot lunch in the morning.